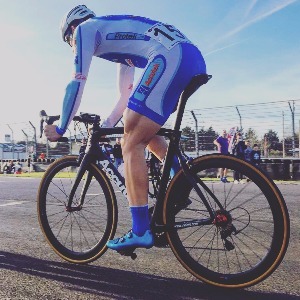 Personalised coaching for road racing, time trials, sportives. Each plan is customised to your physiology and life commitments. Whether you’re an elite cyclist looking for gains, or a novice hoping to finish your first event, I can help. Professional coaching will help you get the most out of the precious hours you have to train. Ken offers personalised coaching for road racing, time trials, sportives, duathlon and triathlon. Each package is completely customised to your physiology and life commitments. Whether you’re an elite cyclist looking for marginal gains, or a novice hoping to finish your first event comfortably, he can help. Everything starts with a full consultation and fitness test to determine your lactate threshold heart rate and power. From there Ken can fully tailor a programme that works for you and also build in the guidance you need to reach your goals. Customised training plans which range from general guidance and light structure, all the way through to a premium offering with daily changes guided by heart rate variability. He is a committed and passionate coach who loves to help people ride faster! In 2015, Ken set a new British record of 75.03mph at the Human Powered Speed Challenge, as part of the University of Liverpool’s Arion1 Project. He’s planning to return this year as part of the Arion2 project. Success. Coach Ken Buckley has been notified of your message.